Evan Walther, co-founder of FitKey. (Picture supplied). People who want to keep fit but do not necessarily want to get locked into a lengthy gym contract can now use an app to find and attend various classes at independent gyms and studios in their areas, without having to sign up for membership at these venues. Start-up FitKey is a mobile app for people who prefer a varied fitness regimen. 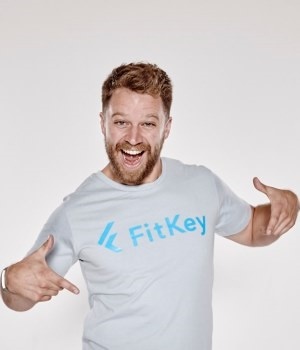 Users register on FitKey’s website (at a monthly subscription of R495 that can be cancelled at any time), and can then browse through the variety of classes available in their area. Users gain access to an unlimited number of classes at different fitness studios, says co-founder Evan Walther. The app, available on iOS and Android, allows people to find and book classes using their phones. “[They can] do it quickly and easily, whether they are at work, or at home, or even travelling," says Walther. 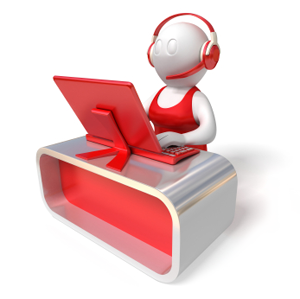 Users can search via location, type of fitness and time. Individuals can book as many classes and activities as they want, with a maximum of three classes at each studio per month. If they want to attend more classes at a specific studio, they have to pay the studio directly for additional classes, explains Walther. US-born Walther describes himself as a “former fat kid turned fitness enthusiast”. After moving to Cape Town two and a half years ago, Walther tried to stay fit by researching activities to do in his area. Over time he discovered different fitness activities, including paddle boarding, CrossFit and trail running. When his job as a consultant for Springleap ended, Walther looked for another reason to remain in South Africa. He partnered with Joshua Shimkin, and together they developed FitKey as a way to help South Africans find a fitness lifestyle that keeps them happy, he tells finweek. FitKey is targeted at people who want to be fit, but get bored with their routine. “They know fitness is something they need to do but they want it to be more fun and interesting,” he explains. Others who might benefit from FitKey are people who want to make fitness part of their lives, but don’t know where to start. It is intimidating for some people to go to a gym and be pressured into a year-long contract, says Walther. According to him, FitKey is currently popular with women, and mostly with professionals aged between 25 and 50. First launched in Cape Town in July 2015, the app has since expanded to Johannesburg and Pretoria. There are also plans to operate in Durban by the end of the year, says Walther. Over 210 studios are registered with FitKey and the app has more than 2 000 users. Walther says they are currently experiencing growth of between 15% and 20% per month. So far mostly small, independent studios are registered with FitKey. Walther says some users still have gym contracts with bigger gym chains, but also choose to use FitKey. Yet other users have left their gym contracts in favour of FitKey. One of their primary goals is to help independent gyms and studios improve their businesses, and get more traffic to optimise their time and space, says Walther. The idea is not to compete with any sort of fitness activity, but rather to expand the fitness market. A long-term goal for FitKey is to be “the glue” or “middleman” between independent gyms and studios and their corporate counterparts. “We want independent gyms and studios to be able to reward individuals in the same way that larger gym brands do, by partnering with medical aids and banks,” he says. So far, FitKey has a partnership with Momentum Multiply, where members get 25% off their subscription fee. 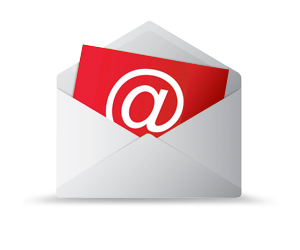 FitKey, which now consists of a team of seven, generates revenue from its subscriptions. Studios do not pay to be registered with FitKey. At the end of each month, FitKey makes a bulk payment to these studios after tallying class bookings, explains Walther. Studios looking to register with FitKey go through an application process. “It gives us a chance to get to know them and if the studio will be a fit for our system and our customers,” he says. When Shimkin and Walther first started out, they had to find software developers for their product. “Skilled developers in South Africa are in huge demand; there are not enough of them,” explains Walther. Co-founder of the mobile payment app SnapScan, David Rubin, joined the team as chief technology officer. This article originally appeared in the 2 June 2016 edition of finweek. Buy and download the magazine here.